The new deal between FCA and Unifor includes investment promises at plants in Brampton and Etobicoke. Fiat Chrysler Automobiles workers represented by the Canadian union Unifor on Sunday ratified a new four-year labour contract with the automaker, which pledged more than C$330 million in investments. 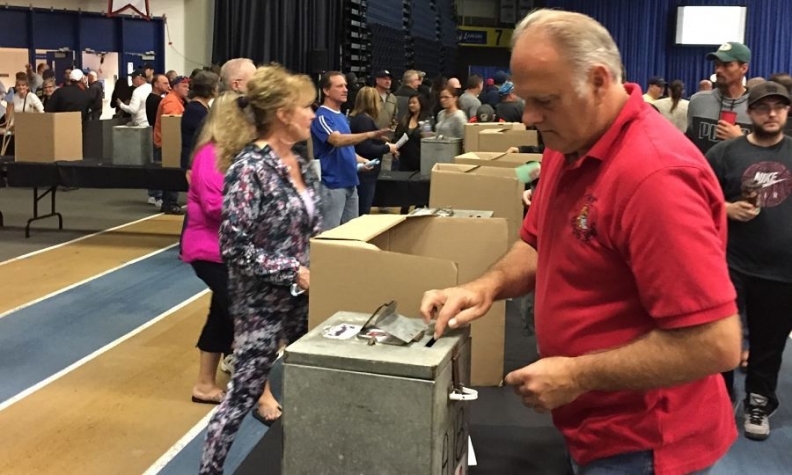 About 70 per cent of workers voted to ratify the contract, Unifor said in a news release. The union said 69 per cent of production workers and 74 per cent of skilled trades workers voted in favor of the deal. Unifor will begin negotiating with Ford Motor Co. on Monday, with a tentative strike deadline set for Oct. 31. The contract includes wage increases for veteran workers and new hires, in addition to investments in two of FCA’s three Canadian plants. Most notably, it includes a C$325 million investment in the Brampton, Ont., assembly plant’s aging paint shop. FCA could assign new vehicles to the Brampton plant as early as 2020 if the Canadian and Ont. governments provide financial support for the project. The new light vehicles could be built on an existing or new FCA platform, according to the new labour agreement. “The company commits to a next generation product or alternative product which could include an existing platform or entirely new vehicle architecture,” according to the summary of the contract distributed to workers. FCA builds the rear-wheel drive Chrysler 300 and Dodge Charger sedans, and the Dodge Challenger coupe, at the Brampton plant. The union said the ongoing success of the three models points to secure production for the duration of the new agreement but that time is approaching to make investments decisions on future products. The union said outlays to prepare the factory for a new generation of vehicles would be subject to securing financial support from the two governments, economic conditions, consumer preferences, market demand and other factors. “In the event a positive business case is confirmed, it is possible an alternative product, which could including an existing platform or entirely new vehicle architecture could occur during the term of this collective agreement,” the document said. Under the plan, FCA plans a C$325 million investment to overhaul the Brampton plant's paint shop, which is aging and in need of repair, as well as pay raises and changes to pension plans for new workers. The paint shop at the Brampton plant will be shut down in the summer of 2017 to begin renovations. Dias said the investment commitment is not dependent on government support. The pact also includes C$6.5 million in upgrades to FCA’s Etobicoke casting plant in Toronto. The discontinuation of the Dodge Dart compact car and Chrysler 200 midsize sedan will lead to the elimination of 150-200 jobs at the plant, though Dias said those workers will be offered jobs at Brampton as part of the deal. Under the deal, FCA remains committed to building the Chrysler Pacifica plug-in hybrid at its Windsor, Ont., plant. FCA showed the plug-in hybrid at the Detroit auto show in January, and it is scheduled to go into production next month at the Windsor factory. Chiodo, who is also president of Unifor Local 444 in Windsor, said the commitment is significant because the union "had nothing on paper" that the Pacifica plug-in would be "fully launched" and marketed. "Now they've locked it in," Chiodo said. "It has to be sold to the public and they can't get out of it. This is a component that we've never been able to negotiate. We're going to be able to increase our productivity over the years for however long [the plug-in hybrid] lasts." Under the deal, the Windsor assembly plant would also be the first plant in line to receive new products if it achieves a gold rating under FCA's World Class Manufacturing program, Chiodo said. The FCA deal is patterned off last month's General Motors contract, so it also includes a $6,000 signing bonus for workers, two two-per cent raises and three $2,000 lump sum payments over the life of the contract for veteran workers and pay increases each year for new hires placed on a 10-year grow-in wage grid. In exchange, new hires will be placed on a defined-contribution pension plan, seen as less costly and less risky for the employer. Like the GM plan, workers will contribute 4 per cent of their earnings annually to the plan, which the automaker will match. Unifor now shifts its focus to negotiating with Ford Motor Co. Dias said the union’s top priority will be securing investment at the automaker’s two Windsor, Ont., engine plants, which build V-8 and V-10 engines for vehicles such as the F-150 and the Ford Mustang. Negotiations will also cover workers at Ford’s Oakville, Ont., assembly plant, which builds four models, including the Ford Edge and Lincoln MKX, and which received a C$700 million investment. “In each round of negotiations, the union has set clear objectives, and so far we have reached these, including our top priority to secure investment and defend good jobs in local communities,” Dias said. “With Ford, our union will accept nothing less."